As one of the first Chinese Shipyards China Merchant Heavy Industries builds SRtP cruise ships for Miami based Sunstone Ships. 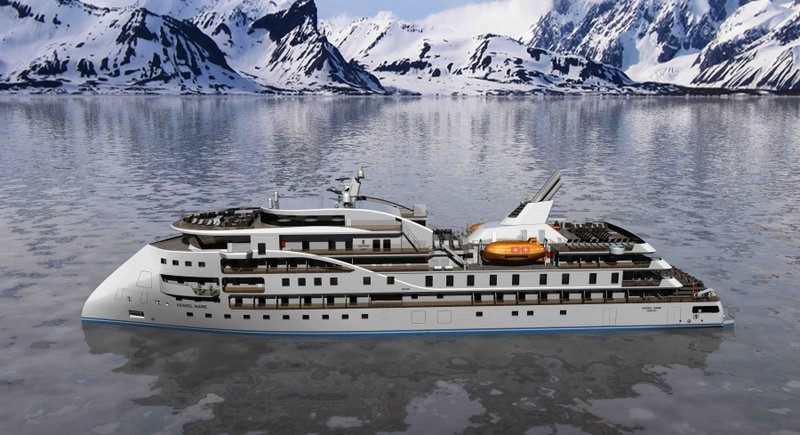 The polar class X-BOW expedition cruise vessels designed by Ulstein feature a length of 104.3 meters and a beam of 18.4 meters. They can accommodate a total of 300 persons, including crew. Global Maritime has been appointed by CMHI to provide SRtP consultancy. The services extend to conduct the SRtP assessment, accompany the detailed systems design, provide early phase design verification and the development of the SRtP test programmes. The first ship in a series of four will be delivered August 2019.